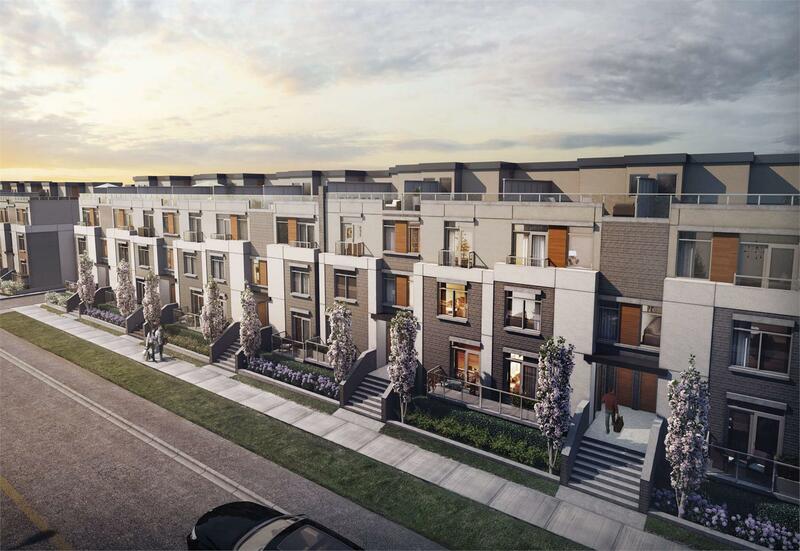 Metroly Developments has launched a new modern townhouse community, boasting spacious two-bedroom ground-floor suites, in northern Oakville. The 6ixth Towns, located at Sixth Line and Dundas Street East, features stylish residences in neighbourhood blocks lined with facades of stylishly contrasting brickwork, glass and wood. Among the community’s notable draws are its Garden Suites. Each of these open-concept, ground-floor residences, which offer 1,014 square feet of living space, include two bedrooms and an expansive patio (other units in the townhouse project include rooftop terraces). All residences at The 6ixth Towns development, currently in the pre-construction phase, provide considerable living space ranging from 823 up to 1,163 square feet. For this project, the Metroly team is calling on its years of experience designing luxury hotels and resorts, resulting in upscale residences with fine touches: master en-suites, walk-in closets, plank flooring, custom finishes and design-forward linear kitchens. The community counts underground parking, with bike and storage lockers, and a central courtyard, which also provides access to homes, among its on-site amenities. Nearby, residents will find plenty of other attractions and necessities. The 6ixth Towns is close to several parks, including Oak Park, Munn’s Creek Park, River’s Oak Park and Lion’s Valley Park, as well as big-box retailers and the boutique shops, cafes and restaurants of downtown Oakville. 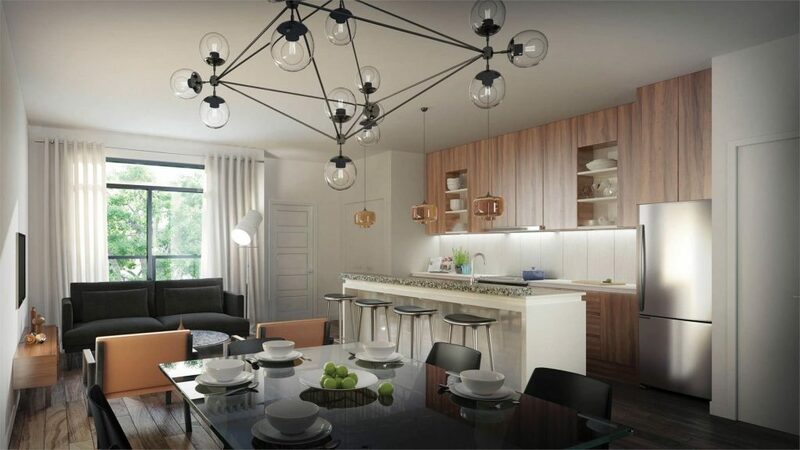 Prices at The 6ixth Towns for available suites begin in the low-$400,000s, and Metroly will be releasing three-storey, three-bedroom townhomes in the coming months. For more information about The 6ixth Towns, visit the6ixthtowns.com, email sales@the6ixthtowns.com, or call 905 849 8519.